NRS will conduct a workshop at the The Nashville Urban Gardening Festival, hosted by Master Gardeners of Davidson County. The Festival will be held at the Ellington Agricultural Center on Saturday, May 18, 2019, from 9am – 4:00pm. At 10:40am, learn everything you need to know to grow beautiful roses in Tennessee from this interactive workshop designed to introduce rose care to the beginner or novice – from selecting the best location and preparing your soil, to picking out the right roses, to watering, fertilizing, spraying and pruning. 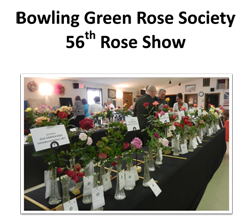 This workshop will be conducted by Ron Daniels, Co-President of the Nashville Rose Society and a Master Consulting Rosarian. Ron Daniels is a third generation gardener, Co-President of the Nashville Rose Society and an American Rose Society Master Consulting Rosarian. His love for roses dates back over 25 years and he now cares for more than 150 roses and companion plants in his own garden in Hendersonville. Ron is currently the primary Consulting Rosarian for three public rose gardens in the greater Nashville area – The Belmont Rose Garden on the campus of Belmont University, the Rose Study Garden at Cheekwood Estate & Gardens and the Lynn Anderson Rose Garden at Woodlawn Cemetery – and has won numerous awards for his roses as an exhibiting rosarian at rose shows throughout the Southeast. He’s also a Master Gardener in Sumner County and a speaks 30-40 times a year to Master Gardener groups, Garden Clubs, Rose Societies and Garden & Flower Shows. Ron opens his magnificent garden to the public twice a year – in the Spring and Fall. To find out the date of Ron’s next Garden Tour, visit nashvillerosesociety.org. For more information, visit the Nashville Urban Gardening Festival Facebook page.